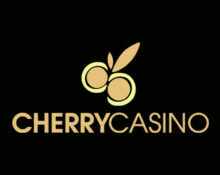 Cherry Casino – The Real Viking Experience – Week 2! Battle with the Vikings for your treasures! The journey to your big Viking treasures is already underway! With an all-inclusive trip to Iceland, a share of €10,000 in cash rewards or a part of 10,000 Free Spins, you’d better slay these sea monsters as fast as you can. Get ready for an epic battle on the two most famous Viking slots from Yggdrasil and place in the TOP100 to enjoy the spoils. Not playing battling it out at Cherry Casino? Then sign-up now, collect 20 Free Spins just for registering and up to 300 Free and Super Spins on your first three deposits. 21st – 31st March 2017: Cherry Casino – The Real Viking Experience – Week 2! Take part in the Yggdrasil mission tournament at Cherry Casino from 21st to 31st March 2017 to place at the top for a spectacular holiday in Iceland, cash prizes and Free Spins. It’ll be the battle of your lives, but being in the chance of winning the top prize worth €3,000 or getting your hands on a share of 10,000 Free Spins, as well as winning cash rewards will make it all worth it. Be sure to sharpen your spears, swords and arrows, they’ll come in handy! But should they fail you, then improve your score by restarting the mission at any time with every 25 spins you play. Minimum bet to qualify is €0.50 with only real cash funds being eligible. All winners will be contacted or prizes added to the accounts within 72 hours after the tournament ended. Cash and Free Spin prizes have a 5x wagering requirement, subject to the standard bonus terms. Launched as early as 2000, the casino is operated by the acclaimed Play Cherry Ltd. under licenses from Curacao, MGA Malta and the UK Gambling Commission. A large choice of games are offered on desktop, mobile and tablet from Netent, Microgaming, Amaya, Yggdrasil and Play’n Go. The LIVE Casino tables are powered by Netent Live. Good luck battling with the Vikings!